Content Management System Translation | Language Solutions Inc.
Middleware, connectors to cloud based systems, export out to Excel…..WordPress site, SharePoint, Drupal, CMS…….find out what you need to know for your website translation project. Learn more about your options and the technology choices for you to consider. Your Content Management System Translation project may contain your website content, catalog, learning content or your repository of documents. We will work with you and advise you on the options that are available to you when you make the decision to get that content translated. Depending on the amount of content, number of updates, the system you use, the IT support you have and your specific needs, we will work with you to investigate the options that are cost efficient, process efficient and solutions that you can handle for any content management system translation project. We advise clients on technology options that are developed and available in our industry for this purpose. 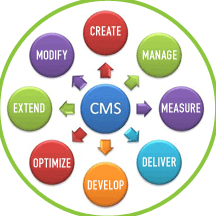 There are plug ins or middleware solutions for your CMS system to help you identify and route the content out for translation. That may be a good solution for you if you want to manage the organization of that on your end and you have the IT support to help you. 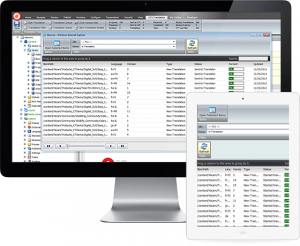 Some CMS Systems are already connected via Middleware options developed in our Industry, such as Sitecore connected by Clay Tablet. We track technology in our industry so that we can be a neutral advisor and help you choose the option that fits your needs. Some clients may not have ongoing needs for translation and may want an easier solution. You may have a website that you want translated one time with minor updates later on. We can work with you on process solutions that are an option. There are also proxy solutions where a mirror of your site is hosted elsewhere and that may a good fit for you. Let’s talk with your team and we’ll help you determine that which will work for you. It may be a solution already developed in our industry or it may be a process that we develop for your needs. Our Customer Focus looks at the needs of the individual in the organization along with the consensus and decision making that must be made with other groups in the organization. Our client, a global HR consulting group, needed a content management system for their client, Société Générale, to communicate online total reward statements for a limited group of employees in 20 different countries and languages. 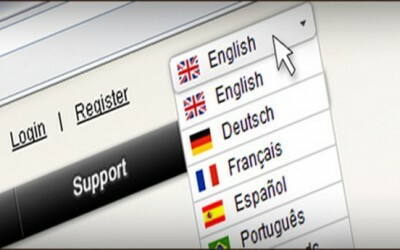 All content was to be developed in English in the CMS yet differentiated per country. All content was then identified and provided in the target language of that employee group. Challenges: English source content had to be duplicated in multiple pages so that it could be edited and localized for a specific group. For example, benefit information for Poland was different than benefit information for France yet English was the source language of the content messaging. From there, content had to be pushed for translation and routed out. When translation was complete, content had to be pushed back in to the corresponding pages and published. Solution: We advise clients on technology that is developed in our industry that may be a fit for them. We introduced our client to a 3rd party developer of a multilingual CMS system. We sat in on meetings and conference calls with our client’s IT support and the 3rd party developer to help them evaluate the solution. When the client found another 3rd party developer after an RFP was circulated, we also sat in on those meetings to help evaluate (we even helped write the RFP for other developers). We finally decided on a solution based on the aspect of project management that one of the solutions offered. There were a few options at the time but because the client had so much content and variable content (English for Polish, English for German, English for France, etc), we advised them that they needed a high level of organization of the content once it was routed out. The platform also had to be able to have content downloaded so that translators could use multiple CAT tools when working on it. The chosen platform also attached meta info to each page and all content was packaged and identified for the country and zipped in one file so that we were able to pick it up (automatic notifications) and have it organized and ready to process. The meta data identified where it was to go on final import. All content was translated and went through internal review cycles which we managed as well as the final upload of all content into the CMS system and final approval steps (the final QA step before publishing). 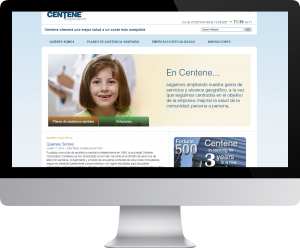 Our client, Centene Corp., had a WordPress website which they wanted translated to Spanish. Initially, the IT team set up the code in the posts tagged so that the English text would be duplicated with all coding below it in Spanish. Challenges: The client only wanted to translate certain website, not all of them. WordPress does allow you to export based on date/author range but it will not allow you to export out individual posts for translation. Tagging content also has to be done in full duplication. It cannot be done with “Spanish content” put in as the line of translation. This is because Translation Memory extracts the translateables for translation from content like this so “Spanish Content” needed to have the full line of English content inserted to be translated. Solution: We advised the client on the WPML WordPress plug in (proxy solution) to export out content but it was not a solution that fit their needs as they would need to install and manage the plugin. We then worked with the client’s files and tested them extensively with our Translation Memory tools. We went back and forth with their IT team to determine options or processes on their end and to show them how Translation Memory tools work with content to come up with a modified process. We identified source coding issues and worked to solve them in the files. We finally identified a workaround after getting the content exported out to xml, then filtered it for specific posts by title, locked all content not to be translated in the TM tool and did a translation of the remaining content. Bilingual tagging would have required a complete manual process and client decided it was not in their budget although it was tested and presented as an option. We will help you understand your options. We test your files and advise accordingly before we quote – feasibility study. No surprises. We understand tech and coding and will work to find an option that suits your needs and budget. There is no one solution that fits every company so let’s talk about your individual needs and requirements first. Our client, Naturalizer, has an online catalog that they update on a monthly basis. The CMS is a proprietary one. The catalog is part of a French language site in Canada and updates to it require translation. Challenges: The client’s CMS is a proprietary one so we started off exploring their export utilities that are available to them. The client decided on an export to Excel. This requires a manual export and a manual import of content back in. Manual processes are always tricky because it increases your chances of error. However, this is the process that the client felt worked best for them rather than a Middleware solution which they would have to implement with the API into the CMS. There is no one solution for every company….. Solution: We receive the content in Excel which still has the html coding in it. We have developed a standardized and documented process on our end for handling of their content so that html code is isolated from the text for translation in Excel first before we process the text in our Translation Memory tool. In doing so, we often find breaks in their coding which we identify for them before it all gets published. Because of repetitive content and the need for consistency, the use of Translation Memory and Glossary development (Termbases) is essential. Our Termbases that integrate with our Translation Memory also store images of the shoes for further context for the translators. We are also able to provide customized financial reporting for the client based on the number of items, styles and web color descriptions so that they have an idea of what each product file will cost. It is only by standardizing the process that we are able to determine this so accurately. Solution: The Preflight process was an important step in this process. Once all files were processed, we read through all content and prepared a preflight questionnaire for the client to answer. We asked for definitions of different roles, clarification on acronyms, clarification on context of terms, etc. From there, we created a complete glossary with the English term, definition (provided by client), context sample from content, translation of term, and the translation of context sample. This became a huge asset for the client moving forward and this is a good example of why technology matters in the translation of your content. If you install a plug in or middleware solution, can you manage it on your end?